After walking up and down Irving for quite some time, anothercoldday had settled on La Fonda because of my craving; I had been craving for some good nachos for awhile and La Fonda was a place on Yelp that had received 3.5 stars (and it is located right on Irving, no need to drive elsewhere). Prior to eating at La Fonda, anothercoldday and I had been reading reviews weeks ahead to see if this would be a good place to get a good Mexican kick in the Inner Sunset. I usually look up restaurants on Yelp and bookmark it for our next food adventure. So, believing trusty fellow Yelpers, anothercoldday decided on our next food adventure spot: La Fonda. After looking up and down the menu, we decided to order a nacho plate with carnitas (to suppress my ultimate craving of eating nachos) and a quesadilla with mushrooms (didn’t want to be conventional, so we went out of the box). My review on La Fonda will not be based on service, but it will be purely based on the food. The service was exceptionally fast and the lady that took our order was extremely friendly and patient, if anyone wanted to know about the service. The nacho plate and the quesadilla were both a lot smaller than anothercoldday and I had imagined, especially the quesadilla plate (the picture enlarged the quesadilla by 2x). 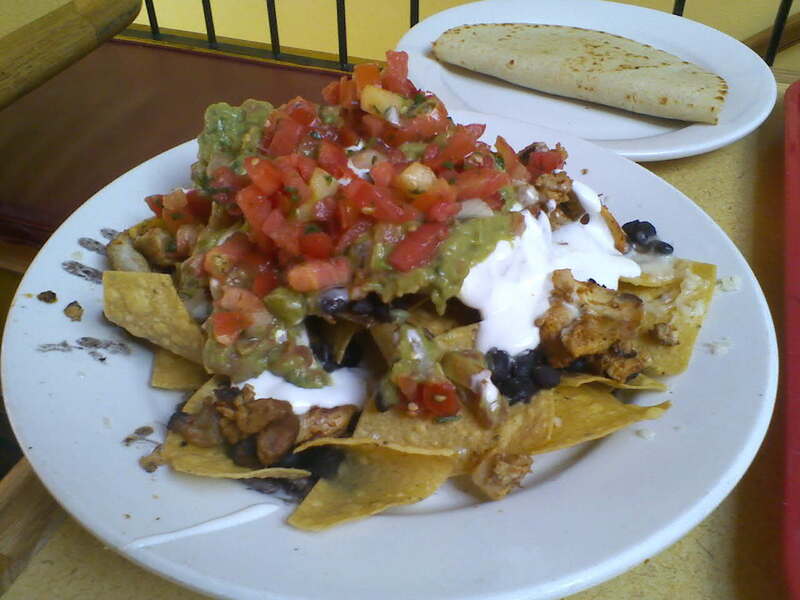 Nachos with carnitas: I found the carnitas to be a bit dry and chewy, which ruined the nachos as a whole for me. But if I were to base it on just the nachos (without the carnitas) then it would still be and okay dish. I didn’t find the nachos to be tasty, it didn’t have the wow factor. Although I wouldn’t expect any nacho to really give me a “wow”, but I expected more, at least a satisfactory dance in my stomach (since we had been starving). Even with a food deprived stomach, I couldn’t gulf this dish down. Quesadilla with mushrooms: The worse quesadilla I have ever tried in the many years that I have been alive on this Earth. I say worse and I mean it wholeheartedly. anothercoldday had split it in half and had already gobbled it down, but when it came to my half to gobble down, I couldn’t. I took one bite out of that “thing” (yes, that “thing”) and I had to spit it out. It released my gag reflex. If I had not spit it out, the nachos would have come back up. 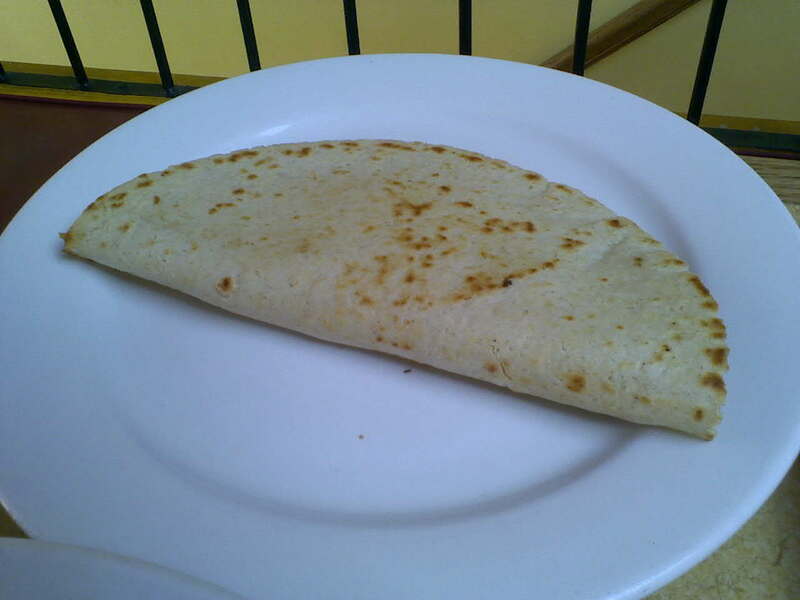 The consistency of the quesadilla was chewy and rubbery – it partly may have been because it had cooled down but I can not risk coming back here and trying it again. I do not think I would ever come back here again (maybe to try the burritos), at least awhile from now, maybe I’ll give it a year or so when I have forgotten this horrid taste.